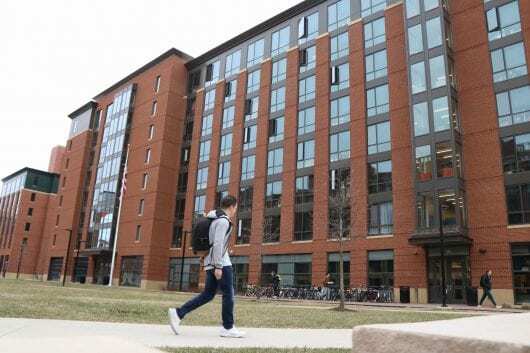 Ohio State Energy Partners and the Office of Student Life are bringing a new energy competition to residence halls Monday to encourage students to reduce energy. ENGIE, the university’s energy provider, is kicking off its first Campus Energy Competition that will measure and compare energy consumption between fifteen dorms on campus over the course of three weeks. “Our goal is to scale up each year after this,” Marisa Twigg, an ENGIE employee in charge of the project, said. The project was previously done in 2017 for only Morrill Tower and Lincoln Tower, but Twigg said this is the first time it is being done with more dorms. The project is being revamped with the use of smart meters to manage the energy data. Smart meters, Twigg said, are digital meters that capture all energy consumption in an entire building every fifteen to thirty seconds. This includes electricity, natural gas, chilled or hot water and steam. ENGIE plans to install smart meters in every building on campus over the course of the next few years, allowing for more residence halls to get involved in the competition each year. 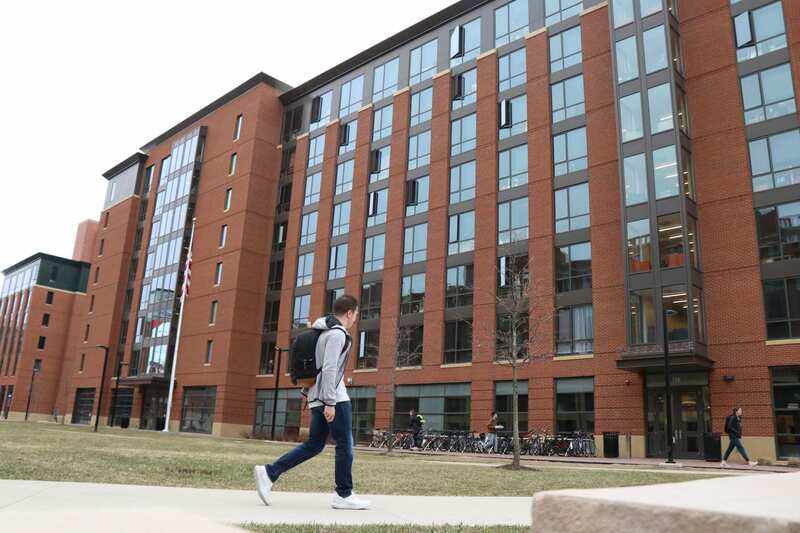 Carlos Lugo, program manager for sustainability, said the project’s partnership between OSEP and Student Life aims to promote sustainability and energy conservation with the students in the residence halls. Twigg said ENGIE has been tabeling and marketing the event around campus in order to get students aware of the upcoming competition and ready to reduce energy use in their building. “I think the energy competition is great for the campus and a fun way to help the environment. I think it’s really important that students realize how much their day to day activities impact our world,” Caroline Manning, a second-year in neuroscience, said. Manning lives in Scott House, one of the residence halls that will be participating in the competition. The three residence halls with the largest energy reduction percentage at the end of the three weeks will receive free pizza and desserts, according to Lugo. Any student who takes the energy efficiency and sustainability pledge will also be eligible to win individual prizes. The pledge and list of participating dorms can be reached by going to https://greenbuckeyes.osu.edu/energy-and-operations/.